NOTE: This item is on backorder at manufacturer. If assistance needed please contact. 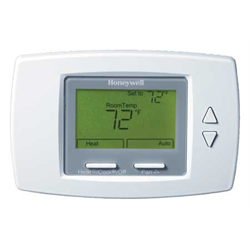 The TB6575A Digital Fan-Coil thermostat is perfect for residential and commercial applications, for use in hotels, condos, and school classrooms. It provides line voltage on/off control for various fan-coil units with 2 or 4 pipe fan-coil units, 120VAC or 240VAC and manual or automatic heat/cool changeover. 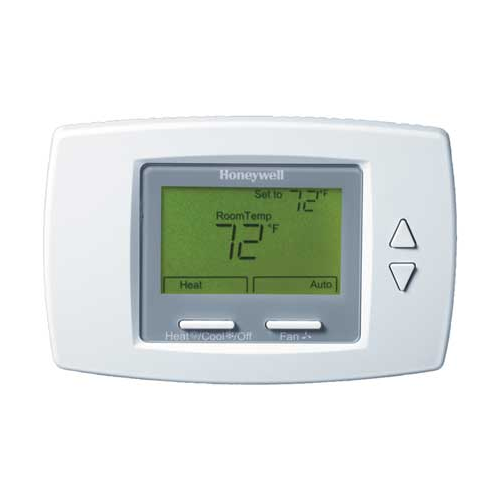 The fan can also be controlled from the thermostat, which offers three fan speeds (Low, Med, High) and Auto. Valves and auxiliary electric heaters can be controlled using a relay or contactor system switch controlled by the thermostat.